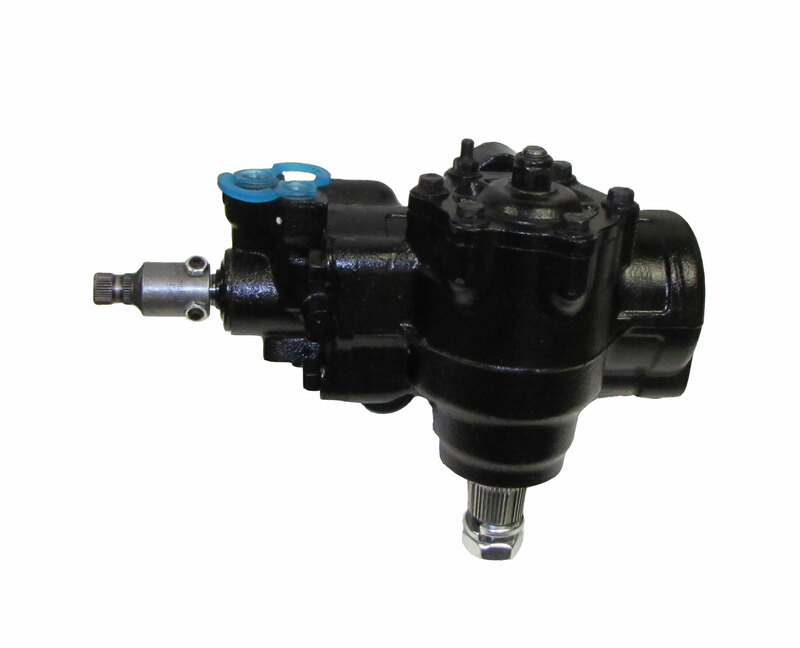 The Borgeson 800123 replacement power steering gear box is for the 2003-2008 Dodge Ram 4x4 2500 and 3500 trucks. Borgeson has sourced and adapted this brand new massive power steering box. Similar to Chrysler's offering for the 2003-2008 Dodger Ram trucks this Borgeson “Dodge Box” offers the largest piston diameter for the most available power assist and a modern variable valve that allows for stable highway driving and effortless parking and maneuvering. The Borgeson 800123 steering box will bolt directly to the factory mounting location and it has a pitman shaft that is compatible with all factory and dropped pitman arms that fit the factory steering box for an easy and completely 100% bolt in installation. This steering box is covered by a 3 year limited warranty. Steering Shaft Fitment: For an easy 100% bolt in installation a Borgeson steering shaft assembly is highly recommended for installation of this steering box. To use this steering box with your truck's OEM steering shaft you will need to grind an orientation flat on the included adapter to match the stock shaft. Make your choice in the option box above. Steering Box Stabilizer Brace Fitment: ANY brand steering box stabilizer brace that is made to work with the factory steering box will NOT properly fit the Borgeson 800123 steering box without major modifications due to it sitting slightly further away from the frame than the factory steering box.